Trends change constantly, especially with automobiles. Usually, it doesn’t take long for something old to become mainstream and then be taken to new heights. One of the most upcoming trends is the Overlanding trend. People are really getting in to decking their vehicles out for Overlanding escapades and the after-market parts are being released as fast as people can buy them. With all of these new parts and “Overlanders”, I decided to do some research to find out what Overlanding actually entails and how it is different than off-roading or “wheeling” as some people call it. While this is the definition of what Overlanding has been known as all over the world. I definitely think the term is starting to become more general like off-roading. So what is off-roading or “wheeling”? It’s as simple as this, taking a vehicle off the road. Off-roading is such a general term, it actually encompasses so much more to different people. For some, it could be going down some trails or making their own trails in all types of materials and in many different types of vehicles. For others, it could be going through mud or rocks only. You could go to an organized off-road park with trails designated for different difficulties and terrain or you may just find places where you know you can go off-road. I think the primary goal of off-roading, wheeling, mudding, or whatever you call it is basically the same as Overlanding. It’s about the journey and conquering the terrain before you. They simply involve each other in one way or another. One of the main differences is with original Overlanding, you are on an off-road journey for a longer period of time and you are camping for possibly an extended amount of time. So why is Overlanding becoming a big thing all of a sudden? 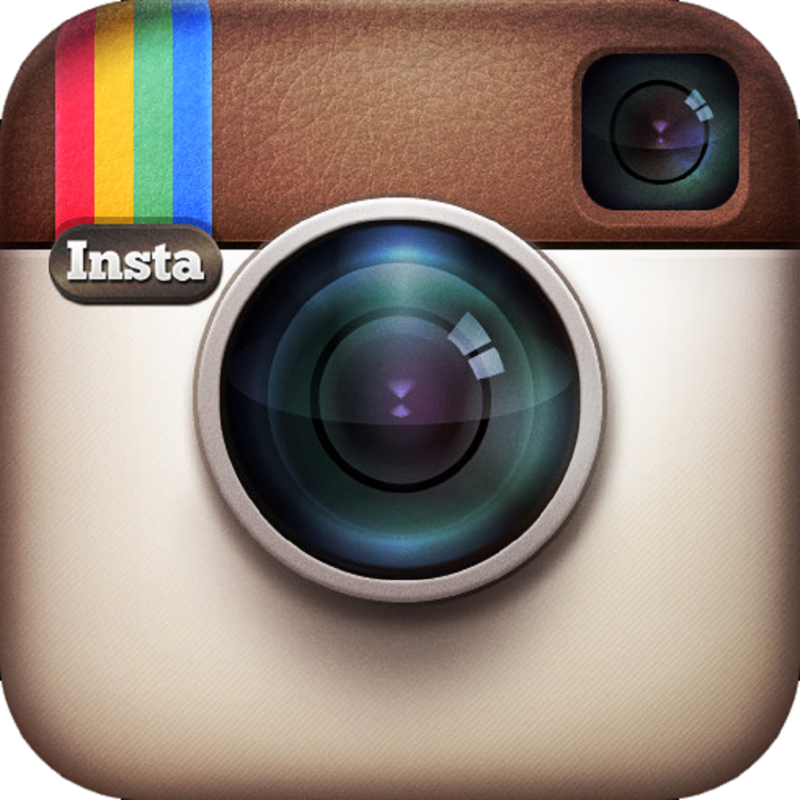 It has actually been gaining popularity for quite some time. 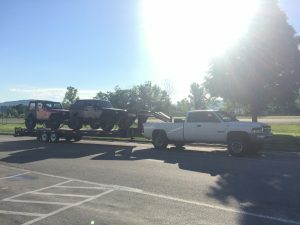 The fact is, people love to get out in nature with their vehicles, camp, and they like to deck out their vehicles with accessories (whether they actually plan to use those accessories or not.) Overlanding products are another way of accessorizing a truck, the family SUV, a van, or other vehicles. Some people actually do use the items they purchase as intended and they aren’t just for looks. 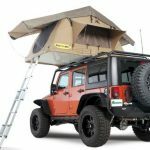 Top mount tents are some of my favorite items used for Overlanding as shown here with this picture of the Smittybilt tent sold by Quadratec.com. It’s fun to get out and away from things and to enjoy nature in various ways. I think there are different types of Overlanders and these are some of my categorizations I have come up with on my own. Original Overlanders – These are the ones who actually do Overlanding as it is originally defined, for weeks at a time living in tents, and cooking their own food for the entire journey in remote areas not using roads, and sleeping wherever they stop for the night in their tents or hammocks. Modern Overlanders – These people drive to remote places for the weekend, camp for a couple of days, and hit some trails. Sort of a shorter version of the original Overlanding journey. Some people can’t take weeks at a time off from work to go Overlanding so this is the next best thing. This is the up and coming version of Overlanding I expect to continue to grow in to a huge market and trend. 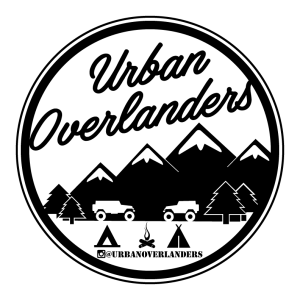 I’m not saying it is wrong to call yourself an Overlander if this is you because it’s still about the journey and exploring and getting out. different types conditions, and more. You may find off-roaders will either drive their vehicle to their destination, or they may trailer it to the park they are going to be exploring. Both Overlanders and off-roaders need to have vehicles that are capable off-road and have supplies for every situation. True Overlanders need to have even more supplies as they are usually in remote areas where they may not be able to get any assistance. Overlanders will also be carrying items to make their own meals and also arrangements for sleeping, extra fuel because of how remote they are, and a lot of water. 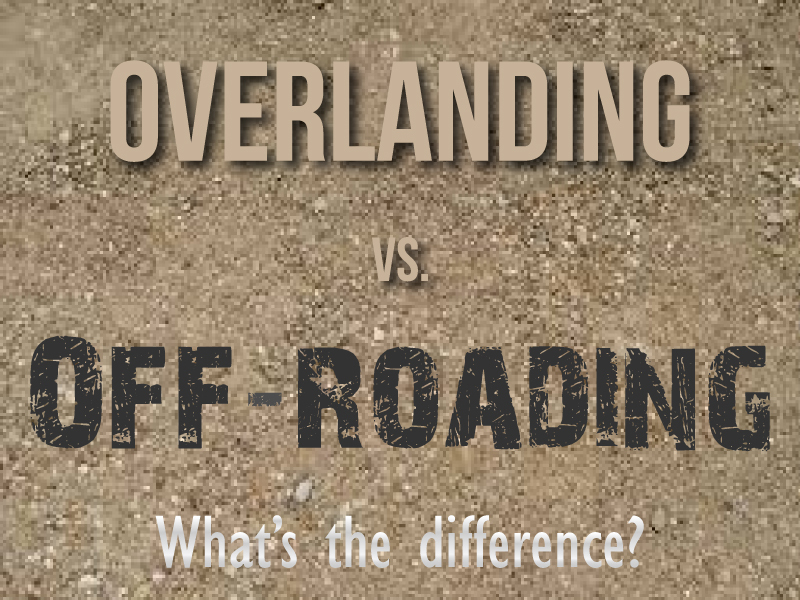 This article isn’t to say what is right or wrong on who can call themselves off-roaders or Overlanders, it’s more to make people aware of the differences between Overlanding and off-roading and how they are similar. I think off-roading can sometimes have a redneck connotation when it’s not the case at all. 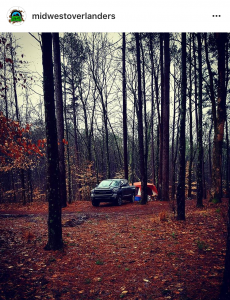 Really, camping with off-roading is basically the same as Overlanding, the journey is the purpose. Although, the journey may not be the case with all of the people who go off-roading. One thing is definitely true, Overlanding and off-roading will be around for a long time and the aftermarket items will keep coming. I do think Overlanding as a term will be loosely used in the coming years as people will be referred to as Overlanders, but when in fact the original use of the term was for a journey as the purpose which lasted for an extended time. No matter what you call it or yourself, the important thing is to get out and enjoy your vehicles and nature with your family and friends. The Jeep Truck is back and it is the Gladiator!